1. Saute celery, onion, and green pepper in oil. 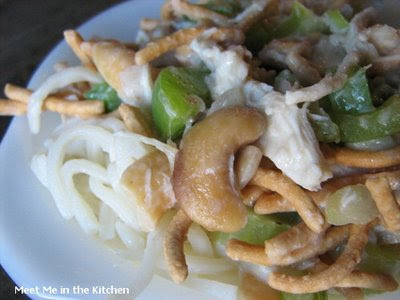 Mix soup with milk and stir into celery mixture along with chicken, 1 1/2 cups of the noodles, and cashews. That sounds so easy and looks delicious. I'm going to try it this week!